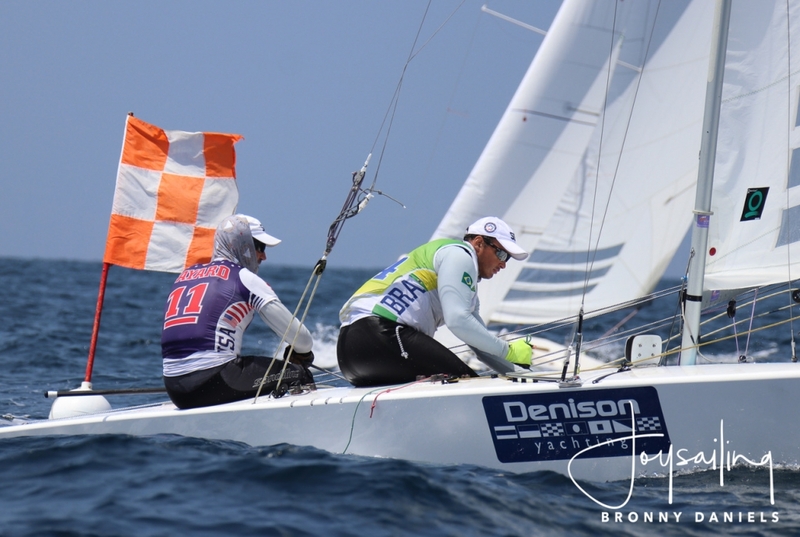 The final two races of the Star North American Championship were held today in identical conditions to the other days, 7-8 knots from the southwest and choppy seas. While Arthur and I had great starts and were up front in both races, we could not match the speed of Eric Doyle. We got a 2, 4 to his 1, 3. There was a lot of up and down and back and forth with other players but the championship boiled down to just that. Next Star event for me is the Vintage Gold Cup in Gull Lake Michigan, where I will be Sailing with my son Danny in our 55 year old wooden Star, GEM. More on that later. The Star World Championship in mid October is next on Arthur and my schedule and we will be working hard on a good result there.